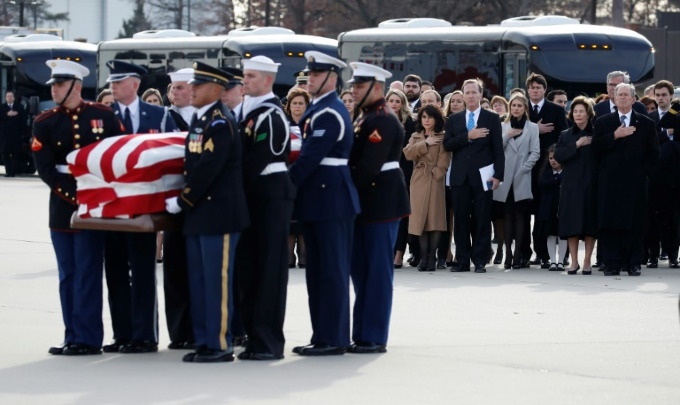 A divided Washington led by the nation's five living presidents attended a the state funeral on Wednesday of George Herbert Walker Bush, as America bade farewell to its 41st president. 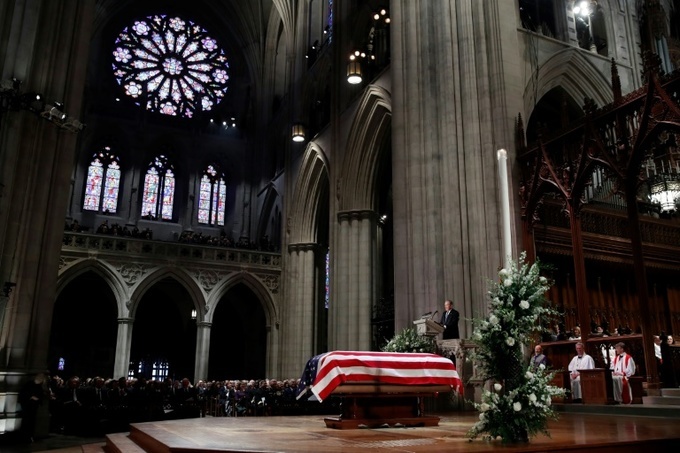 Donald and Melania Trump shared a front row pew in the National Cathedral with past presidents Barack Obama, Bill Clinton, Jimmy Carter and their wives as an honor guard brought Bush's flag-draped casket into the prayer hall filled with dignitaries. 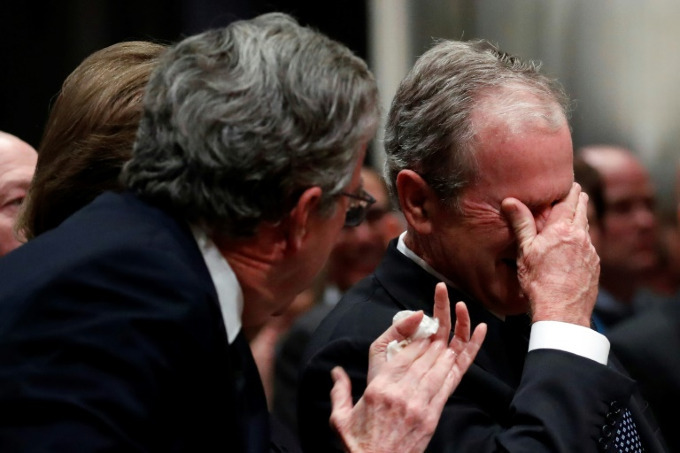 George W. Bush tapped the casket twice when he walked up to deliver a rousing eulogy, fighting through tears as he sang the praises of his father and predecessor as commander-in-chief, who died Friday at age 94. Bush's eulogy followed a performance by Irish tenor Ronan Tynan -- a friend of H.W. who sang to him in his dying hours. 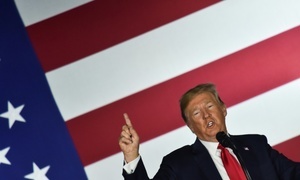 Since Bush's death, Trump has traded his usual provocative posture for one of solemnity, tweeting before the service about "a day of celebration for a great man." But at the funeral, Trump and his Democratic predecessors appeared locked in an uneasy truce. It was a dramatic contrast when George W. Bush arrived minutes later and shook hands with the current and past presidents and their wives -- and handed Michelle Obama a piece of candy, as he did during the memorial service for senator John McCain in the same cathedral in September. Afterwards, the presidential aircraft carried Bush and family on his final journey from Washington back to Texas, touching down in Houston at 5:00 pm (2300 GMT).